Everyone knows the common complaints about the state of pop music today. It’s often derided as a bland genre, devoid of any originality or honesty, but that doesn’t mean all pop music falls prey to that criticism. 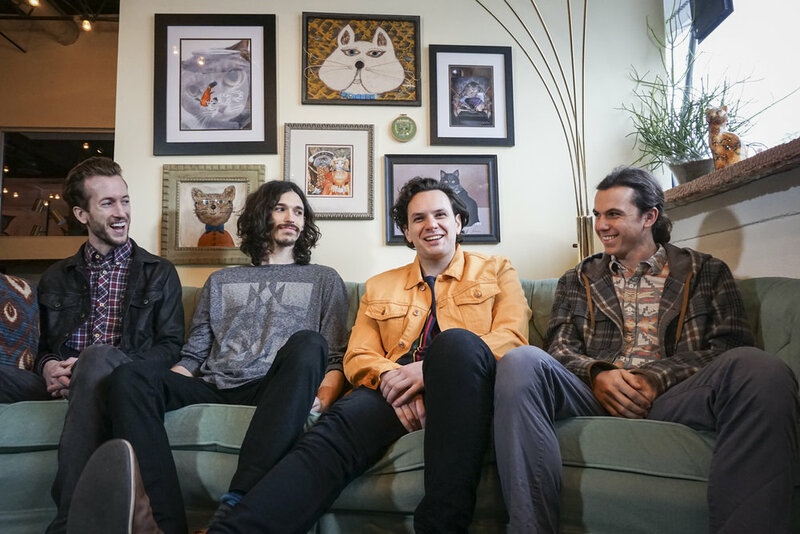 Lanes, an Atlanta-based psychedelic rock/pop group, has been crafting a genre-bending, pop sound that is quickly setting them apart from a world full of Matty Healy wannabes, and that’s not by accident. After mentioning The 1975’s undeniable influence on their genre, lead singer Tim Romero said candidly, “A lot of the reason our music is so unique is we’re trying to not be The 1975.” The band’s influences range from Vulfpeck to Prince to The String Cheese Incident, and that’s just the tip of the iceberg, and with such an eclectic list to draw from, it’s no wonder Lanes’ music is unlike anything else out there. Each song Lanes releases brings a different set of sounds to the table, fusing modern and classic ideas seamlessly to create a proprietary blend of funk. However, even though each song is unique, they all have a certain quality that is undeniably “Lanes.” It sounds like nostalgia for the moment you’re in, and it’s impossible to sit still when their infectious grooves hit your ears. Songs like “You’re Somebody” and “$ Baby” exemplify Lanes’ upbeat guitar-driven sound, while tracks like “All Things Aren’t Forgiven” show the band knows how to slow things down. In addition to writing songs and playing shows around Atlanta at venues like the Masquerade and Aisle 5, Lanes also released a music video for their most recent single “$ Baby” back in October. The video features one of Atlanta’s many breathtaking murals, but after about 12 seconds, the mural becomes the last thing on anyone’s mind. The band, rather than predictably performing their song, don cloaks and masks before appearing in a dark, wooded area ritually burning stacks of cash. Later, the masked members break into a hardware store, stealing the money in the register and having a field day within the store before stealing some poor girl’s car and driving off into the night. The members of Lanes, lead singer Tim Romero, guitarist Chris Beno, bassist Johnny Beno and drummer Case Snedecor, share an unstoppable creative drive that is inspiring to watch, and from their debut music video to their growing catalog of future hits, there’s no shortage of evidence that Lanes is the real deal. In a city overwhelmingly known for hip hop, they are bringing attention to an often overlooked genre in Atlanta in a new and interesting way. It’s refreshing to see something so innovative so close to home, and Lanes has all the ingredients for nationwide success. Catch Lanes and our other Winter Spotlight artists at Bullet Music’s Artist Spotlight Showcase at Smith’s Olde Bar on January 23. Tayler is Bullet Music's Editor-in-Chief. With years of experience in the music industry as both a fan and creator, Tayler brings a unique perspective to his writing. More of his sagely wisdom can be found @T_Newm on Twitter and Instagram.